Chevrolet is set to change the automotive landscape yet again when the all-new Chevrolet Bolt electric vehicle (EV) goes on sale later this year here at Jack Maxton Chevrolet in Worthington, Ohio. The 2017 Chevrolet Bolt is all new and changes the perception that an electric vehicle has to be expensive. And since it’s a Chevrolet, you know every detail has been obsessed over, and it will bring the reliability and dependability you’ve come to expect from Chevrolet. The Bolt will bring an estimated 200+ mile range per charge, and feature the connectivity, amenities and safety you demand too. Designed from the ground up, the Bolt balances a wind defying shape with a bold stance. Sculpted bodysides, strong wheel arches, and a flat underbody do their part in helping cheat the wind for excellent aerodynamics. There will be room for five adults, and a clever interior with fold-flat seats and an available hidden storage compartment help unlocks a maximum 56.6 of cargo space. The Bolt will also feature the latest in Chevrolet technology and connectivity with a 10.2-inch MyLink color touchscreen display, the Rear Camera Mirror, and a Surround Vision System. 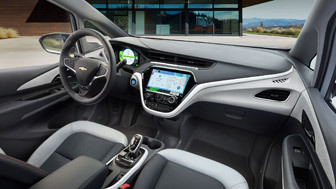 Chevrolet designed the Bolt with the feedback and suggestions from the Volt owners and you’ll find Bluetooth low-energy, as well as more accurate driving range projections. 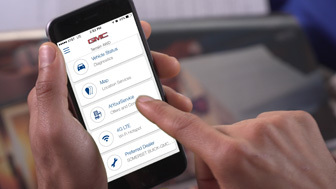 And many technologies will be supported by OnStar 4G LTE, including the all-new MyChevrolet Mobile app that lets you remotely start the Bolt, as well as vehicle charge status, cabin pre-conditioning and more. There will also be a “gamification” function that lets you compete with other drivers to see who’s driving most efficiently. Charging the Bolt is a breeze and when you use an available 240-volt charging unit, you can expect about 25 miles per hour of charge, with a full charge in around nine hours. The battery itself is a nickel-rich lithium-ion battery that manages its temperature for better performance, and the innovative battery cell arrangement maximizes interior space. Its central location gives it an optimal center of gravity for solid ride and handling. You also get all the safety features you’ve come to expect from Chevrolet including 10 airbags, a high-strength steel frame, and the safety and security of OnStar all standard. Advanced features like Forward Collision Alert, Side Blind Zone Alert, Rear Cross Traffic Alert and Forward Pdestrian Alert are all available as well. More details will be unveiled in the coming months so stay tuned, and if you’d like to know more, let us know and we’ll let you be among the first to see it in person when it arrives in the coming months. In 1972, General Motors was the very first company to sign a pledge to the U.S. Department of Defense (DoD) that vowed to continually support members of U.S. military services and their families in both times of peace and times of crisis. 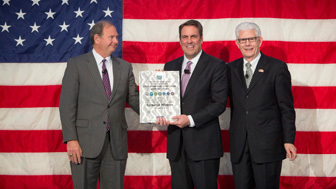 Recently, GM was honored by the DoD for its commitment to the National Guard and Reserve, and its loyalty to a promise that has spanned more than four decades. “Our veterans embody the values we believe in, and I thank the U.S. Department of Defense for the opportunity to formalize this commitment and express our sincere gratitude,” said Mark Reuss, GM executive vice president of Global Product Development, Purchasing and Supply Chain. At a Veterans Day celebration at GM’s Technical Center in Warren, Michigan, representatives from the DoD were joined by hundreds of employees and reps from several military groups and councils to recognize the 100,000-plus GM workers who have served. “General Motors is setting a high standard for all automobile manufacturers to follow by providing above and beyond support of veterans, many of whom currently serve in the Guard and Reserve,” said Tom Bullock, chief of employer outreach, DoD Office of Employer Support of the Guard and Reserve (ESGR). Also at the ceremony, the ESGR Extraordinary Employer Support Award was bestowed upon GM for the company’s continued commitment to employees in the National Guard and Reserve. Despite only being formalized in 1972, GM has been providing exemplary sustained backing to members and families of the U.S. military for more than 100 years. 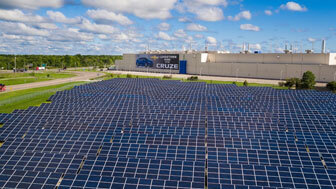 GM currently supports organizations and programs such as Building for America’s Bravest and the Achilles Freedom Team. 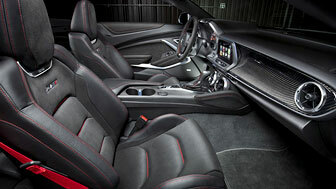 In fact, at the ceremony in November, GM announced a new campaign, spearheaded by the GMC brand, to raise funds for and general awareness of the Stephen Siller Tunnel to Towers Foundation (the parent organization of Building for America’s Bravest) to help build customized, specially-adapted homes for injured or disabled veterans. For more information on this initiative, visit www.ourbravest.org/enlistme.